Complete drop-in kit comes complete with Target Hammer, Target Sear, Target Trigger (available in either black hard anodized aluminum or optional stainless steel), Extended Bolt Release and Trigger Return Spring with Polished Plunger. 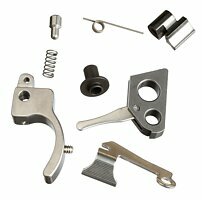 The trigger features adjustable pretravel and overtravel screws. 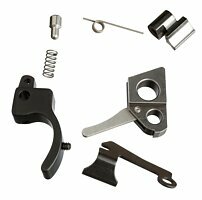 The Accurizing Kit combines all of the internal components needed for that crisp, clean 2.25lb trigger pull the discriminating shooter is looking for. No stoning or fitting required. Final trigger pull may vary slightly due to factory frame variances. 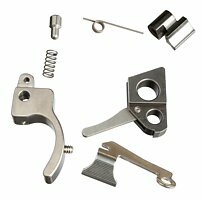 Accurizing Kits fit the Ruger MKII, MKIII and all variations of the MKIII 22/45 (extended bolt release and sear spring are not used when installing in a 22/45). 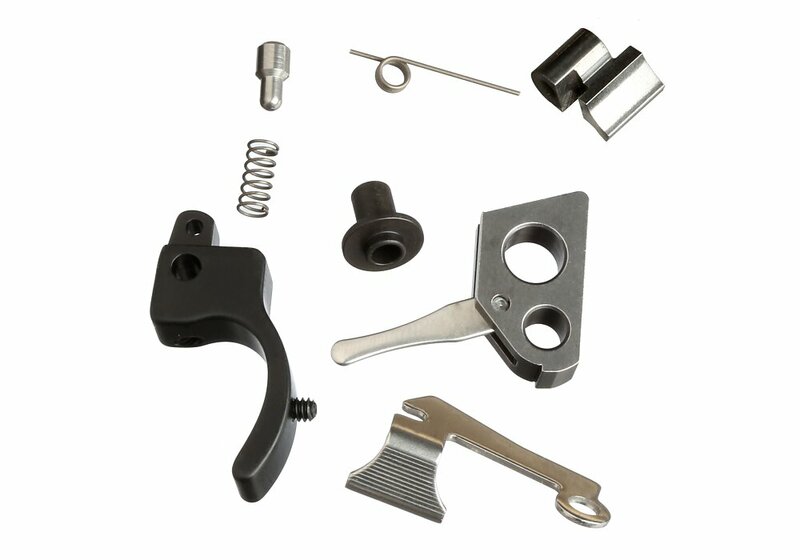 MKII Kit also includes a Volquartsen MKII Hammer Bushing and can be used when eliminating the magazine disconnect feature in the Ruger MKIII. 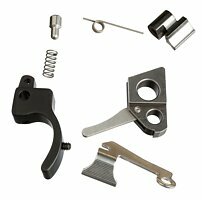 Please note the only way we recommend to remove the magazine disconnect in the Ruger MKIII is by using the MKII Kit that includes the MKII Hammer Bushing. 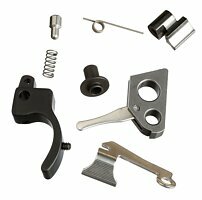 The Accurizing Kit for the Ruger MKIII does not include the hammer bushing. This is only included in the MKII Kit.